Mesh WiFi’s are slowly becoming more and more popular because people are looking to cover more areas with their ability to connect with one and the other. 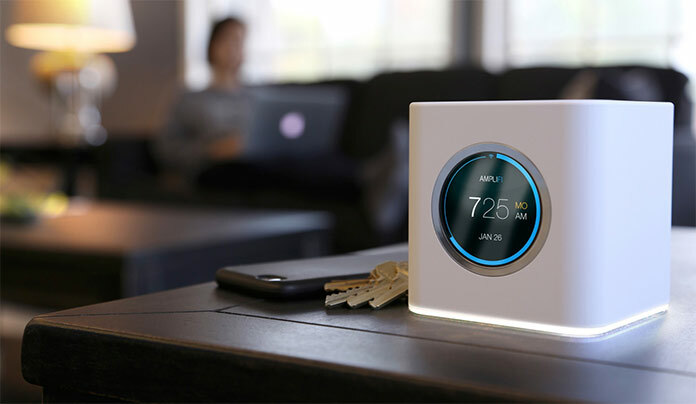 This is what makes these mesh WiFi systems so much popular, especially if you are living in a place that has a lot of devices that need to be connected, and the place itself is spanning across a lot of square feet. Sadly, buying a mesh WiFi system is not that easy as buying a normal system, because there are a lot of factors that play into this. The good thing, however, is that you have this guide at your disposal. We are going to discuss the best mesh WiFi of 2019. This is going to be done in order to ensure that everyone gets the best possible experience if they are in the market looking for the mesh WiFi system. In order to keep things clean and simple, we are only going to be reviewing the best options available as to avoid any confusions that might lead you to buy something that is not worthy enough. Now that you have it in your mind, we can start looking at all the great options that are available. The first option that we are going to explore is from no one other than Linksys. The company is known for creating some of the finest networking products available in the market. Considering how the mesh WiFi system is so popular, it was only about time before the company finally stepped in and created their own version of the mesh WiFi system. 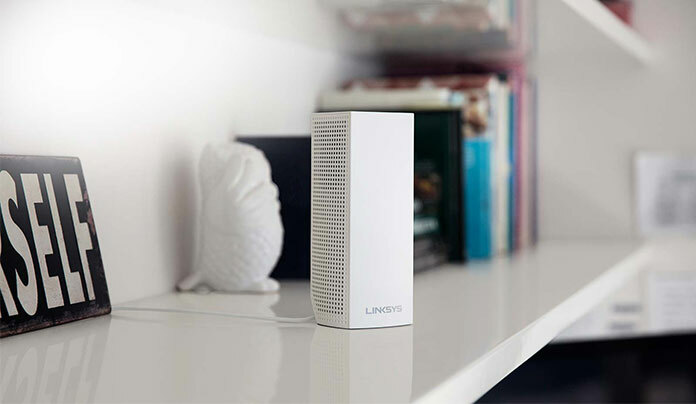 On the desk, we have the Linksys Velop, and yes, the company does sell this as a standalone option if you are looking for. But since we are here talking about the mesh WiFi system, I am going to review the 3 piece set that you can buy right now from the market. From the looks of it, the Velop looks really good, as a matter of fact, it is one of the best looking mesh systems available in the market. The one thing that is great from the get go is the fact that you can set up the system without any issues whatsoever. This is something that makes the Velop one of the best options available in the market. Sure, you might have difficulties, but the instructional document is more than enough to aid you, so that is one thing that one must keep in mind. 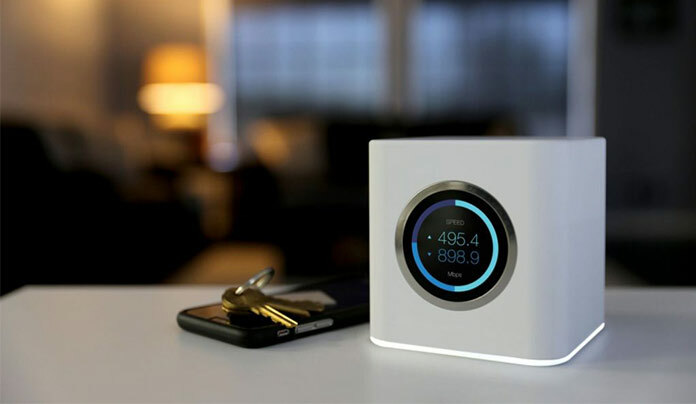 Considering how it is a mesh system, it is obviously faster than a single router, and the coverage is something that a single router cannot beat. The Velop offers one of the best coverage I have witnessed in any other mesh routers available in the market, and that is certainly something that I can attest to. However, aside from all the good things, there are some limitations that I must talk about because I want to provide an honest opinion to the users willing to buy. Attaching the third node reduces the performance, and while the reduction is not drastic, it still is there. In addition to that, you don’t get a lot of advanced features, and the mesh system is somewhat slower than the rivals, which is what we have to keep in mind. The mesh WiFi System is easy to setup. The system is a lot faster than a single router setup. Has one of the best coverages. Attaching the 3rd node reduces the performance. There are not a lot of features. Netgear is another company that has been around for long in the market for networking products. There are a lot of options available so you really don’t have to worry about not having enough to choose from. With that in mind, today, we are strictly keeping an eye on the mesh networks today, and are going to look at the Netgear Orbi. This is a 3-piece mesh system that can also be purchased as an individually if you want, but again, that is not the point of the review. The Netgear Orbi is basically for people who are looking for extraordinary performance, and they don’t have any issues with paying a slightly higher price than what the market has to offer. Hands down, this is one of the best mesh systems I have used in the market for some time now. You also get a dedicated router-to-extension data channel if that is something you are looking for. The Orbi also supports the always beloved MU-MIMO technology if you are looking to use that. One thing that I really love about the Orbi is that the users can choose if they want to setup the Orbi using app or the browser itself. While it might not matter to a lot of people, it certainly is a feature that people should be looking out for, because it makes everything so much easier. There are some kinks that I did not like to begin with – while the app is certainly a great addition, the important thing that you need to know here is that at the time of writing, the app does not have a lot of features to begin with. The devices are rather on the larger side, and well, they are expensive. 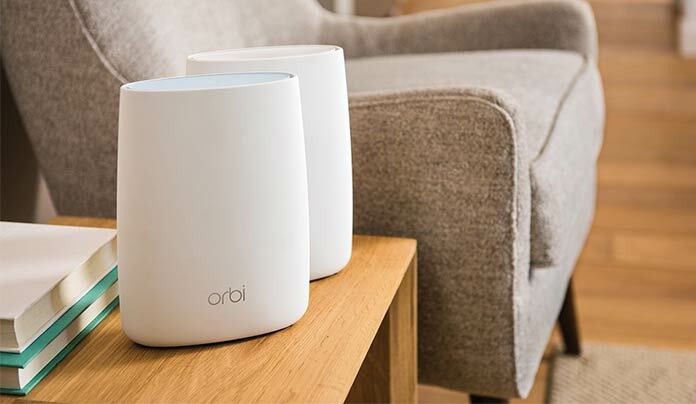 These minor shortcomings do not stop the Orbi from being a great mesh system as it ticks all the boxes, and performs really, really well in all the situations, without any issues whatsoever. As a matter of fact, you will get a great experience with the Netgear Orbi. 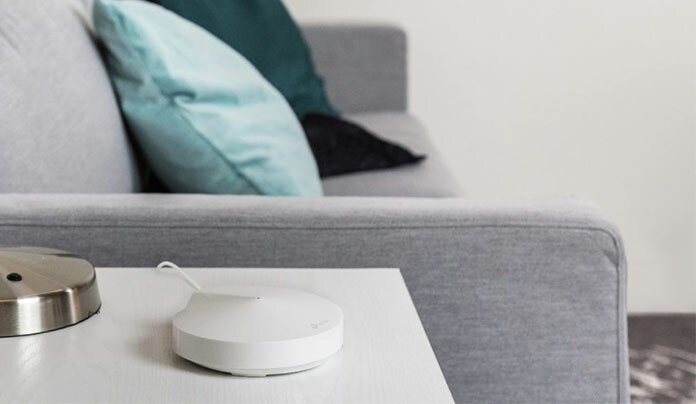 The Orbi offers one of the best performances you can find on any router available in the market. You can set it up through app or the browser. The dedicated router to extension channel is great. The devices are large in size. App does not have the top level features. Just like the other companies we have talked about so far, TP-Link is another one that happens to be on the top of the list. They excel at making some great networking products, so it is a definite that they know what they are doing. Today, we look at the popular TP-Link Deco M5, a WiFi mesh system that aims to provide you with the most amount of features and keep the price in line with the other option under consideration as well. The one thing I always emphasis whenever I am looking at a good mesh system is whether or not the mesh system that you are buying actually has the ease of access that most of people are in search of. The good news is that the TP-Link Deco M5 is one of the easiest to use mesh systems available in the market. Other than that, another great thing here is that the mesh system is actually capable of delivering a reliable WiFi connection over long ranges; which means that if you want to set it up in your home in hopes of having strong connections everywhere, then it is something that you should definitely go for. With the TP-Link Deco M5, you also get a lot more features than some of the competition has to offer. It certainly is a great thing, considering at this price point, you do need to have the features. The one feature that makes this WiFi system stand out the most is that it offers a lot more security than you might find in the first place. The system comes with the ability to protect your entire network against any online threat that might be lurking. This is great for people who prioritize security. At the same time, there are some issues that you mat you must keep in mind, for starters, the system connects wirelessly, and while that is certainly convenient for people who don’t like wires, it can reduce the speed to a great extent, which never is a good thing for people who are concerned about the speed. The security features are a must. The connection can lose speed at times. I will be honest; I was very surprised when I saw Google coming out with their WiFi mesh system. Mainly because that is something I did not expect the company to do at least for a very long time. But here we are, the company is finally out with aptly named Google WiFi that aims to get the job done in a spectacular fashion to begin with. With that said, the Google WiFi is aimed at people who are in search of something that they can buy that focuses on increased simplicity. It is one of the simplest looking WiFi mesh system and there is nothing wrong with that because sometimes, you do need some minimalist design language in your devices. The good thing is that the nodes are small and can easily be stashed wherever you want so there is not much of an issue to begin with. 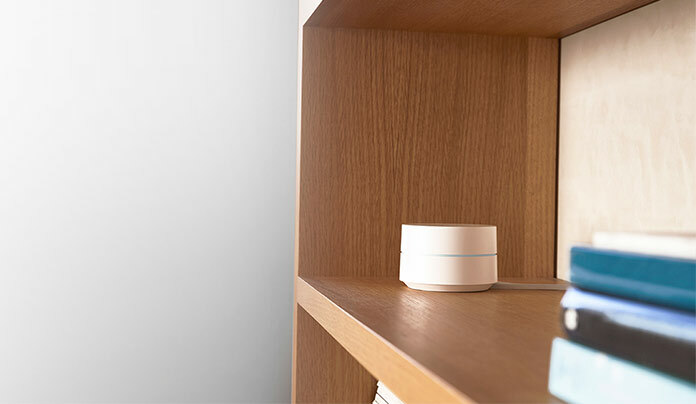 The fact that you can easily setup the Google WiFi is something that everyone must keep in mind. There was not a single moment when I felt that the Google WiFi is giving me troubles setting it up, and that is exactly how it should be in the first place. Another great thing is the value for money, something that you don’t get all that much with other options available in the market, considering how the mesh systems are always on the expensive side. There are some drawbacks that you need to understand though, the Google WiFi does not provide you with enough hardware control, and in addition to that, there the AC rating on the units is on the lower side. These are some of the drawbacks to the otherwise amazing Google WiFi that you can easily buy right now. It offers great value for money, and I am sure that it will not disappoint you as far as the performance is concerned, because the value for money is certainly among the best. Setting up the Google WiFi is really, really easy and simple. The Google WiFi does not provide you with enough hardware controls. The AC power rating is on the lower side, so you need to know that too. For many, Ubiquity is the company to go for whenever they are looking for high end internet solutions. Sure, while the name might not be as common among those who are looking for budget solutions, the enthusiasts always prefer equipment from Ubiquity because of how good they are. With that said, today, I am looking at the Ubiquity Amplifi HD, one of the best mesh WiFi systems available in the market. Normally, when I test equipment from a brand I have not tested before, I walk in with a lot of reservations as to how it is going to be. Mainly because I don’t really know what I am going to be presented with. With Ubiquity, things were different as I always wanted to try out their products. The Amplifi HD is actually one of the products that has been on my list for some time, and I finally got the chance to test it out and damn, am I impressed. You get one of the cleanest looks one could hope for, the mesh system is really, really easy to setup, the app is simple, and intuitive without any unnecessary clutter, and the signal performance is one of the best. On top of everything, even the extenders work really well without any performance degradation. At this point, I don’t think there is anything wrong with the Ubiquity Amplifi HD, at least as far as the performance and features are concerned. However, what I am about to mention here is entirely subjective, so you should take this with a grain of salt. The MeshPointHD design is not something that I would write home about. Users get a cleaner, modern look that will look good in every situation. The mesh WiFi system itself is simple and easy to setup. The app is intuitive and works really well. The MeshPointHD design is not the best. Today, I review the 2nd generation of Eero Home WiFi and while I loved the original one, I decided to treat this the same way as I have treated all the other products on the list. Right out of the box, the Eero Home WiFi happens to be extremely easy to setup and start using. This is actually something that I always look for whenever reviewing a home WiFi system or a router for that matters, because ease of access is something that matters a lot. Moving on, you also get several advanced router features that can be customized based on your requirements. One of the features that stood out the most was the inclusion of this handy nightlight that is situated near the wireless access points; this light helps the user locate the points easily in the darkened room. Something unusual, but still a pretty well implemented feature to say the least. There are some issues though, that I must address before I give my conclusion. For starters, the WiFi is not as fast as some of the other options available in the market. In addition to that, there are no Ethernet ports on the Beacons, which means that you can’t use wired connections. 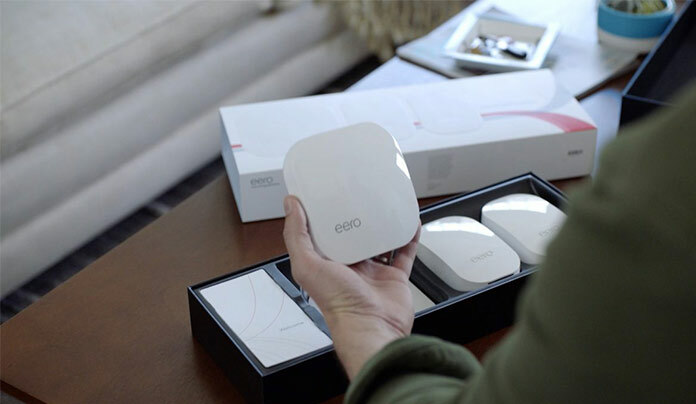 If you are okay with these shortcomings, then the Eero Home WiFi is a great option that yo should definitely consider because the performance is among the best I have seen in any mesh WiFi system that I have reviewed lately. Setting it up is extremely simple. You get a lot of advanced router features that you can customize. The nightlights on beacons are actually handy. The speed is not up to the mark. There are no Ethernet ports. The last product on the list is Portal Smart Gigabit. This has been in the talks for some time now, but I was always on the fence regarding testing this product. However, I finally managed to make time for it to see just how good this is and I can tell you that you are not going to be disappointed. Why? Well, there are a lot of good things about Portal Smart Gigabit; for starters the mesh system is compact, and it is easy to install. But I understand that people are going to need more for convincing purposes, so let’s have a detailed look. After going through somewhat buggy installation process, I was a bit concerned as to just how good this mesh system is going to be in the rest of the fields, the good thing is that there’s plenty of features available here. For starters, the router supports MU-MIMO data streaming, and throughout my testing, the throughput was consisting as it could get. The mesh system also supports the fastlane 5GHz technology, and on top of all of that, a sleek design that looks really well. However, there are some inconsistencies that might make the experience a bit shoddy; for starters, the installation process is a bit buggy as mentioned before, and although the mobile app is a welcomed addition, it lacks the features you will find on the web portal. Another thing is that the lack of full-fledged parental controls, and QoS settings. 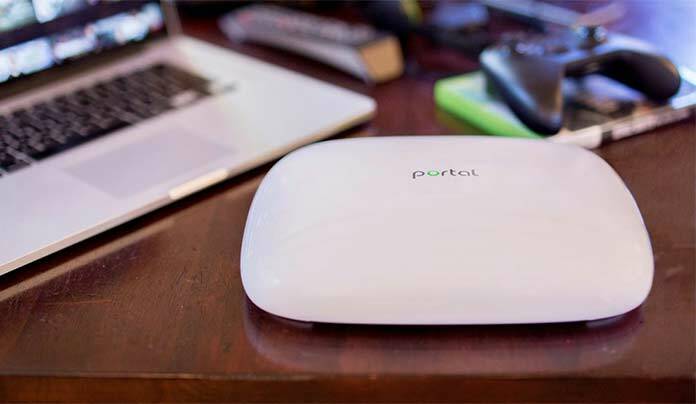 All in all, the Portal Smart Gigabit is a good option for someone who is looking for a mesh WiFi system, and should not disappoint you. Installation is not as easy. Mesh WiFi systems are becoming increasing popular for anyone who is looking to ensure that they want the best possible WiFi experience in their home or office. With these systems, you can ensure that the proper coverage is sent to all the corners of a place, and no one is left without coverage, because let’s be honest, having blind spots is really annoying because you can’t even properly enjoy your internet experience. That being said, the list does explore all the amazing products, and we hope that you have an easier time choosing them as well. In case you think that we have left out something better, then feel free to let us know, and we will surely look into it for the readers.